Why do I want a Leica M film camera? Honestly, I’m asking you, because I can’t figure it out. I’m basically a digital native photographer: although I grew up in the last years of film’s supremacy, I didn’t get seriously into picture making until I bought a Canon digital point-and-shoot in 2004. From there, I followed the familiar camera-DSLR-mirrorless trajectory. At each step, the image quality got better, the cameras got more responsive. Now, with an Olympus OMD E-M10 as my daily driver, I’m far more likely to not see a shot than blow it because the camera couldn’t. And yet. A mechanical Leica. Apparently, now I want a camera that costs money every time I release the shutter, that requires me to focus manually with the camera mashed against my face, not to mention set aperture AND shutter speed on my own (and since I’m looking at fully mechanical bodies, doesn’t even suggest what those settings should be), that needs to be disassembled after taking 36 frames (and forces me, right then, to decide what the ISO will be for the next 36). Also, it’s heavier than my current kit. And it costs more. What the hell am I thinking? Whatever it is, I think it’s been percolating for awhile. From time to time over the last several years, I’ve started looking at metal-bodied SLRs on eBay before deciding I was just being silly. I had a lot of fun researching obscure lenses that might work on my NEX 5N (I once blew a whole night learning about Exacta-mount lenses) and I enjoyed using the old Olympus 38mm Pen half-frame lens that I bought from someone in Japan. Sure, it was a great performer above f2, but I really liked the mechanical solidity of it, a dense metal knuckle with a focus ring that felt good against the fingers compared to the plasticy stuff I was used to. I’ve long been interested in what I refer to in my head (though not, generally, out loud) as “knob feel” – the tactility of control surfaces. One of the main reasons I bought the E-M10 over the contemporaneous Panasonic GX7 was knob feel: the Panasonic’s control wheels had an unsatisfying clicky movement that I couldn’t abide. But a fine mechanical camera has knob feel all its own. The knobs and wheels and rings actually do something – they aren’t the disconnected surface of a virtual machine but physically linked to their purpose. This changes the way they feel, both in the fingers and in the mind. 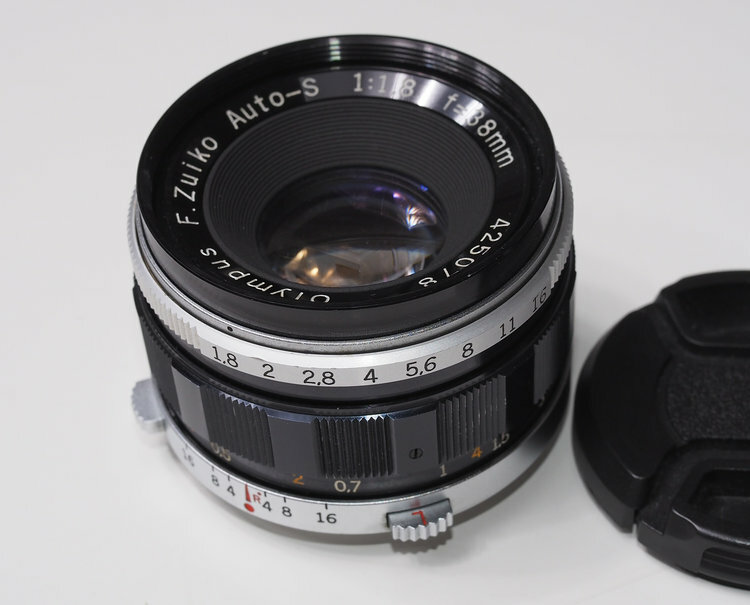 Olympus F. Zuiko Auto-S 38mm f1.8 Pen system lens. So metal. At first it was just for fun. Then just when I needed it. Then I needed it every day. © Henri Cartier-Bresson | Magnum Photos I have never seen like this. I will never see like this. I fill this sadness with objects. Now, you might reasonably suggest that there are less torturous ways of dabbling in film and old cameras than joining a cult whose demands are as onerous as Leicaism. And I would retort that, first off, I’ve tried other mechanical cameras and they didn’t do it for me, knob-feel-wise. And second, la la la, I can’t hear you. I don’t want a reasonable camera. I want one that satisfies my unreasonable hungers, that sings silently over the sadnesses of the everyday. 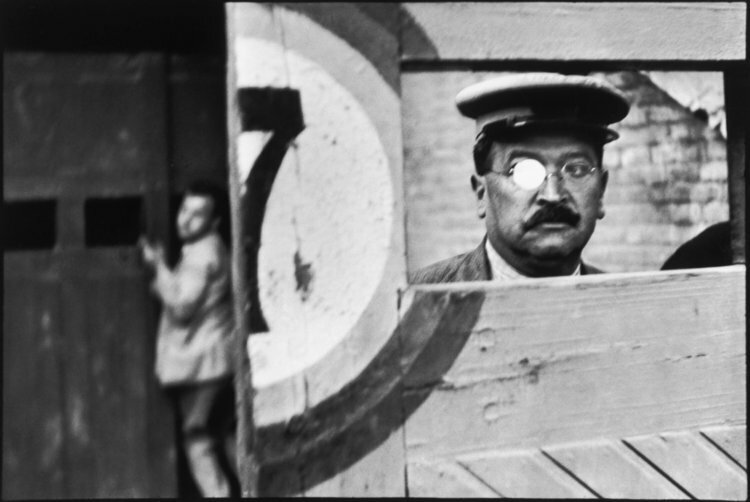 Peter M. Ferenczi writes, teaches and photographs in Paris. This piece is reprinted from his blog, partialsight.com. You can see his work at dotfield.tumblr.com. This entry was posted in Uncategorized on November 27, 2016 by Leicaphila. I don’t think that lust for an old M film Leica is something of which to feel ashamed. They were great cameras within the somewhat limited parameters that they presented. Many successful people used them in their daily work, perhaps not exclusively, of course, but for where they were good tools. There is an even more important (today) detail: rangefinder film Leicas are just beautiful works of engineering and visual design. That’s good enough reason to buy, if you have the spare loot. I don’t think that we shall ever see such a perfect match of several art forms again. That blank that needs filling with a Leica is the same blank that keeps the Kodachrome, un-processible or not, in your freezer. Go for it! It’s really not unreasonable to want a film Leica because you will probably do good work with it. On the grand scheme of hobbies or avocations on which people spend money, a Leica M with a couple of lenses is cheap. $1500 or so and you are in business. Consider, one of the higher end brand XYZ super digital cameras over which DPReview fan boys go berserk will cost $1500, and it is a computerized imaging device that will be superseded with better technology in 3 or 4 years. In the meantime, your Leica M will be working as well as ever. Cheers. True, but the obsolete super digital will still work and still create the same images it did when new, even after a few generations of tech have superseded it. Just look at all of the M8 and M9 users who happily skipped the M240 generation, many of whom will likely skip the NEXT digital M generation as well. The same is true in Canon and Nikon land. The original 10-year-old Canon 5D still creates gorgeous files, and the recently replaced 4-year-old 5D mk III still tracks fast-moving stuff as well as it did last year, and almost as well as the latest and greatest. 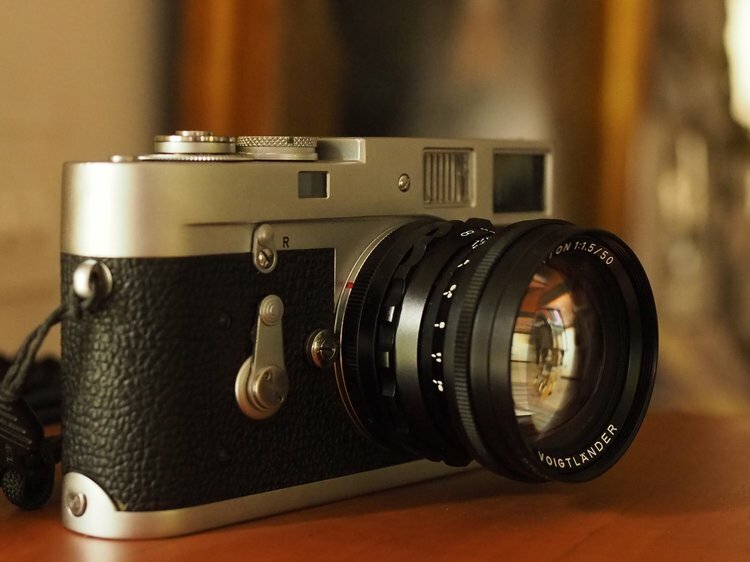 The M2 and M5, for different reasons, are what I consider the most beautiful cameras ever made. That they accept any lens with an M or LTM mount and actually hold film flat and allow shutter speed control makes them PERFORMANCE art, instead of just art. “More,” and “better” are terms frequently associated with the advance of technology…..at times seeming almost synonymous. A choice to not buy an old Leica rangefinder would have to be based in deference to more technology. It is hard to imagine better film camera technology……….durability in intended function being a testimony to great design and build. For more than 40 years working with film, I’ve experienced why a Leica has ‘it’. After a long time SLR photography I obtained a Contax based Kiev 4 in Budapest. This camera convinced me of the qualities of a rangefinder camera. The major part of photos are documentary, working with a rangefinder is less gaining attention, beter blending in the background. Ten years ago I was lucky to obtain a new MP. This camera changed my way of working and brought me closer to the pictures I had in mind. Why a Leica M, you can use 80 years of lens history on the camera, the range from genuine early Leitz lenses to obscure third party lenses, which are often very affordable. Personally I would recommend the MP with his build in light meter. “Aligning oneself with genius through tools used by geniuses” is a pretty interesting experience. I enjoy the idea that I’m using the exact same tools as this or that genius, and that the difference between our work is the purely the difference between the two of us as people -nothing more and nothing less. Everything else has been leveled to zero.